My friends and I had lunch here last month. 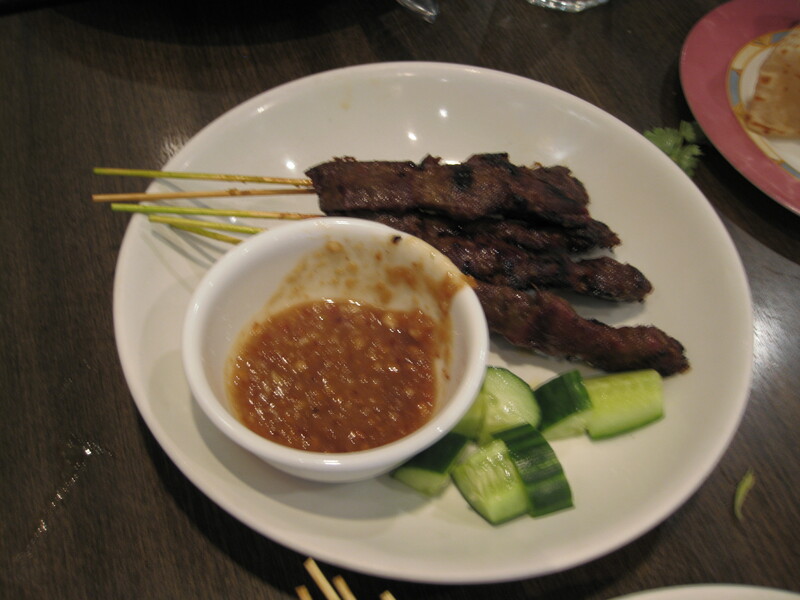 The restaurant is small with modern decor and it’s at the same plaza as Magic Noodle. 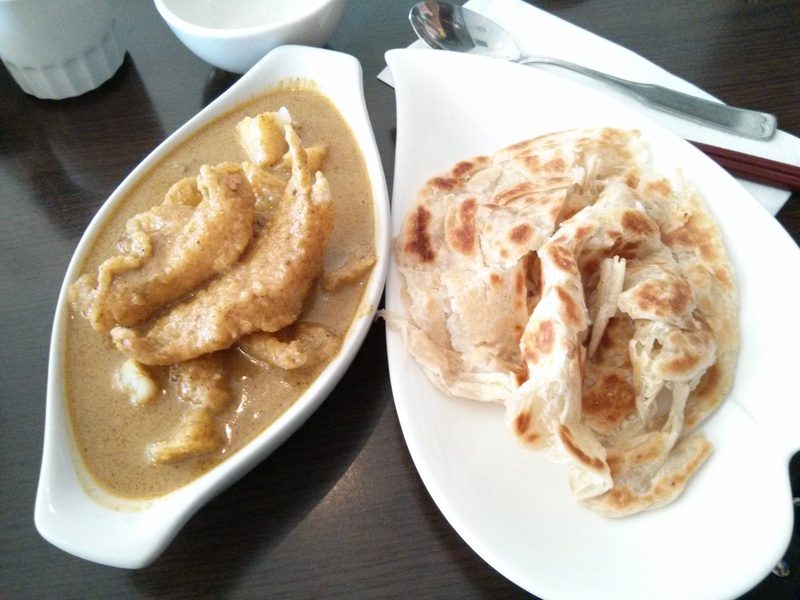 I’ve been here before for lunch and quite enjoyed their curry chicken with roti canai ($6.99). 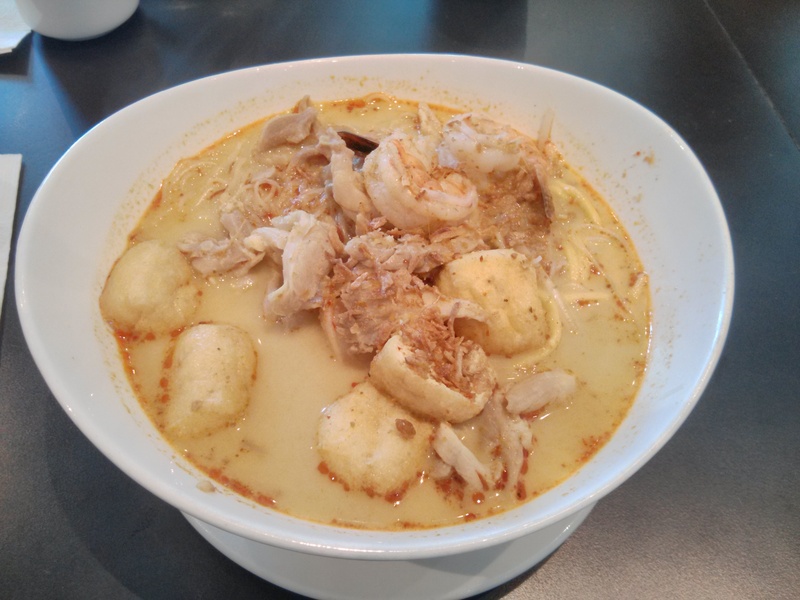 They also serve laksa here but I prefer the laksa at One 2 Snacks. 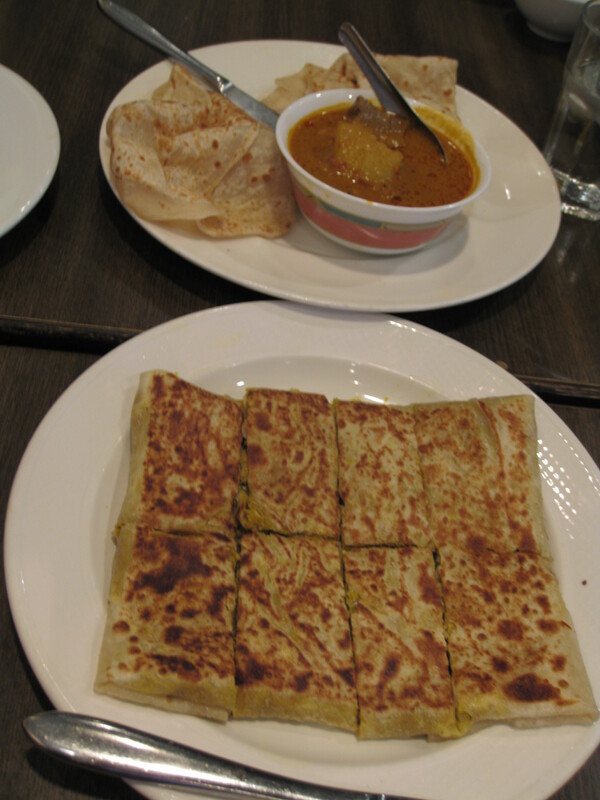 This time I had the Malaysian curry fish roti canai ($7.99) and teh tarik. 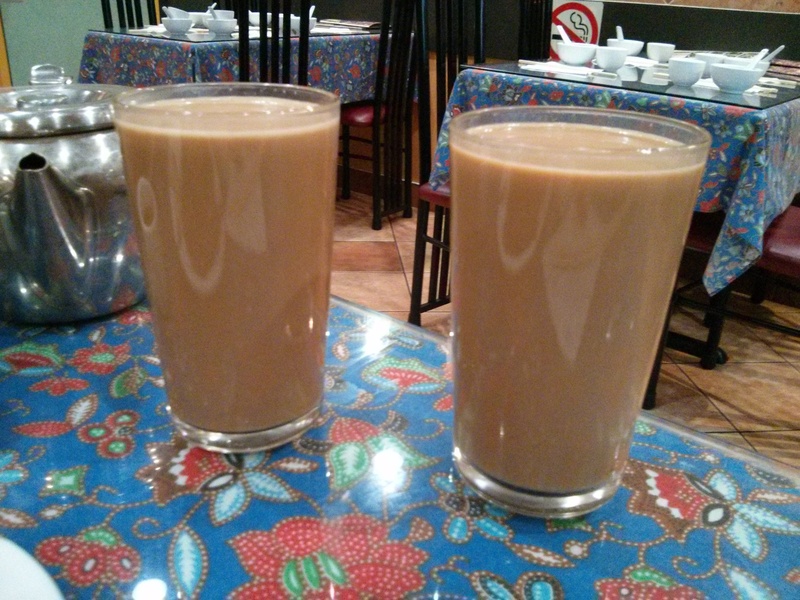 I wasn’t impressed with their teh tarik. It’s not as creamy or smooth as it should be. 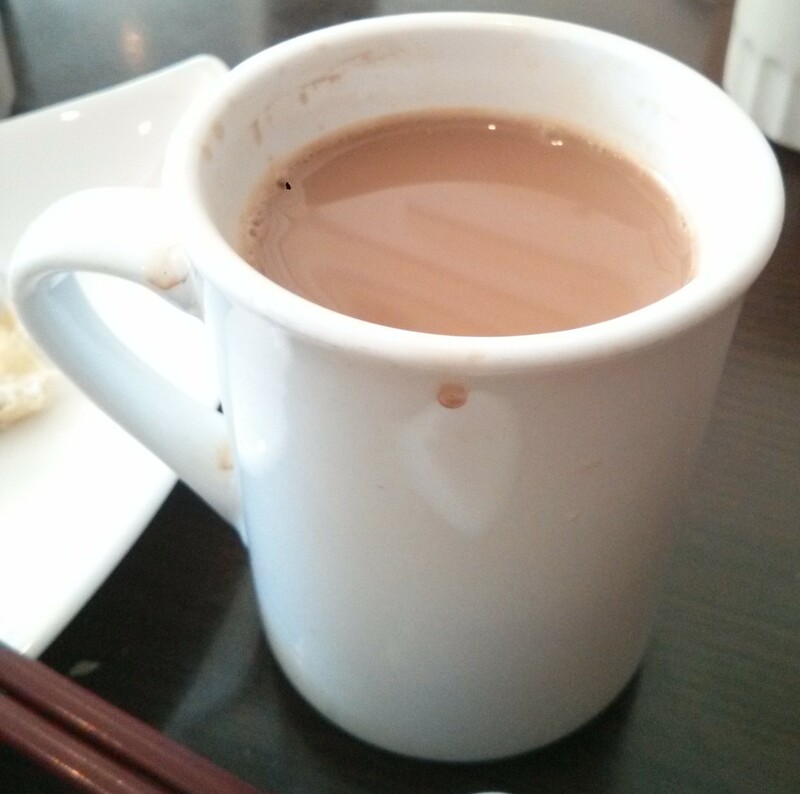 It tasted more like overtly sweet Hong Kong style milk tea. The fish curry roti canai was delicious. The fish was battered and deep fried and slightly salty for my tastes. The curry is delectable. The roti canai was crispy. 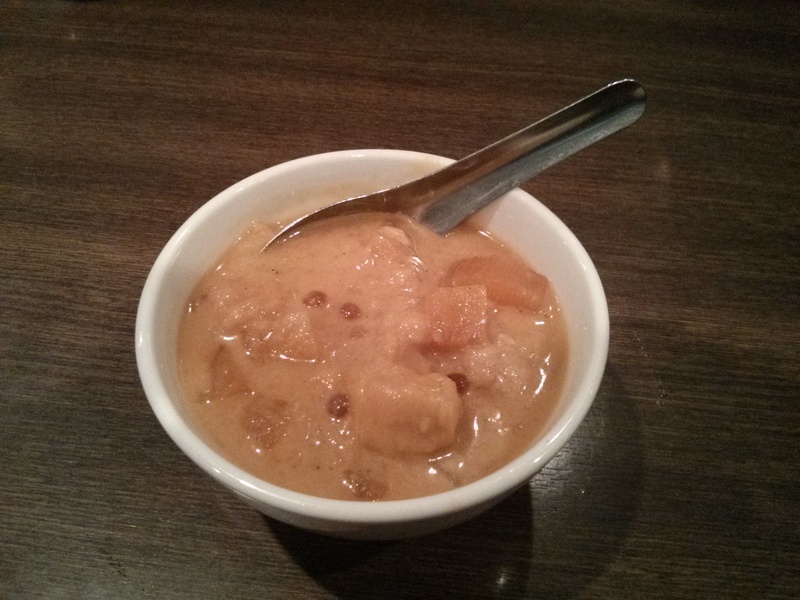 If you’re in Scarborough and craving roti canai with curry then this is a good restaurant. My friends and I were debating where to eat an early dinner after playing sports afew weeks ago. We decided to go to Kiko. When we got there, it was still their Afternoon Tea time special. 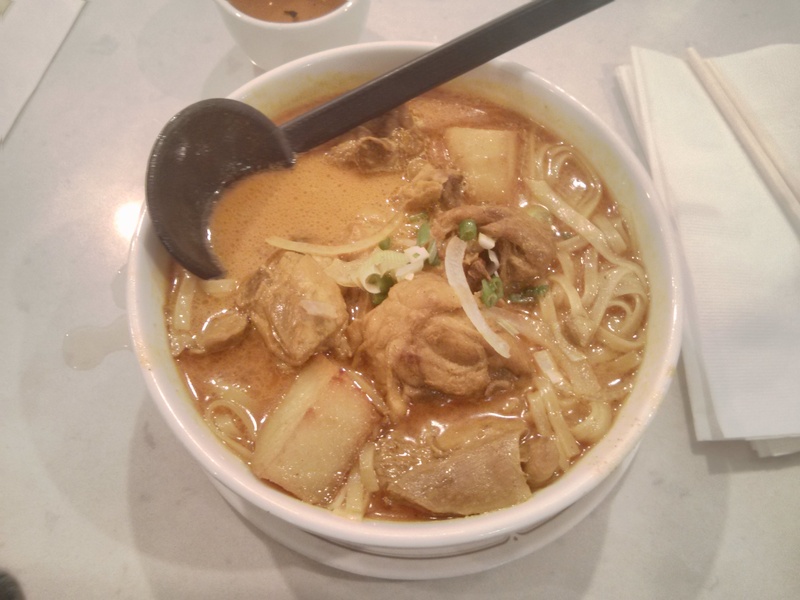 I ordered their laksa ($10 includes tax & tip). 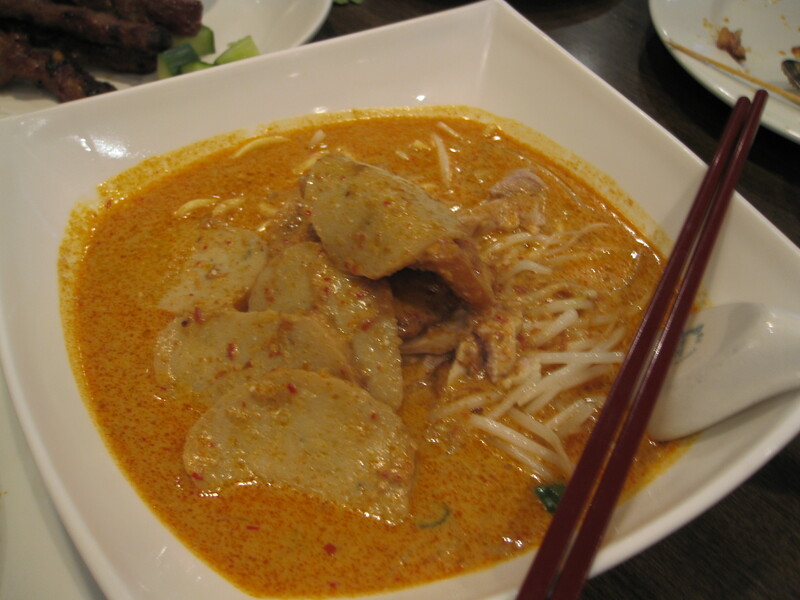 Their laksa is one of the few authentic laksas I’ve eaten outside of South East Asia. The other authentic laksa is from One 2 Snacks. 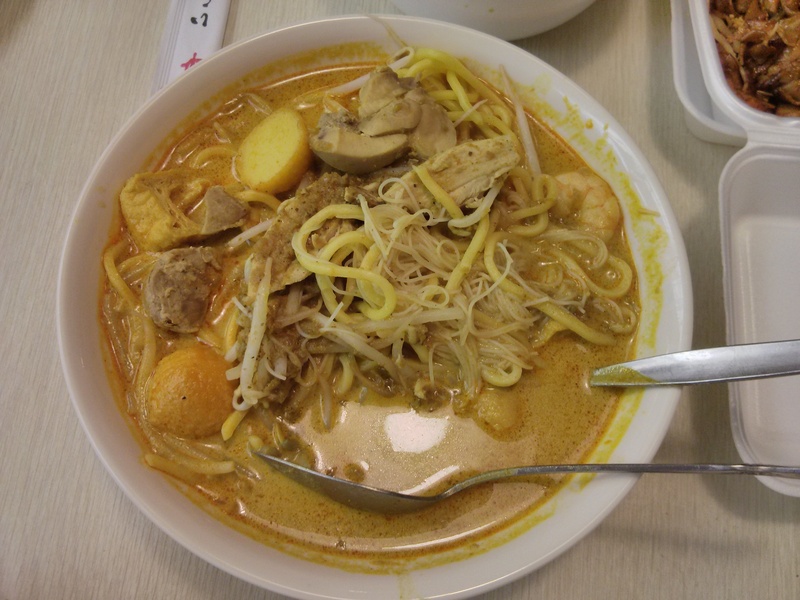 The laksa at Kiko’s comprises of two types of noodles, shrimp, chicken, beansprouts and tofu puff/tofu pok/tau pok in a curry soup. Their laksa dish comes with a drink. I got the Hong Kong style milk tea. I’m looking forward to another future visit. My work colleague told me to go eat at One 2 Snacks for awhile now and it took me until mid-October to finally order take-out from the place. A word of warning, the restaurant is only open Thursday-Sunday. My friends were hanging out at my place and since I was the only one to have ever eaten Singaporean/Malaysian food (they didn’t know such a thing existed), I had carte blanche for ordering dinner. 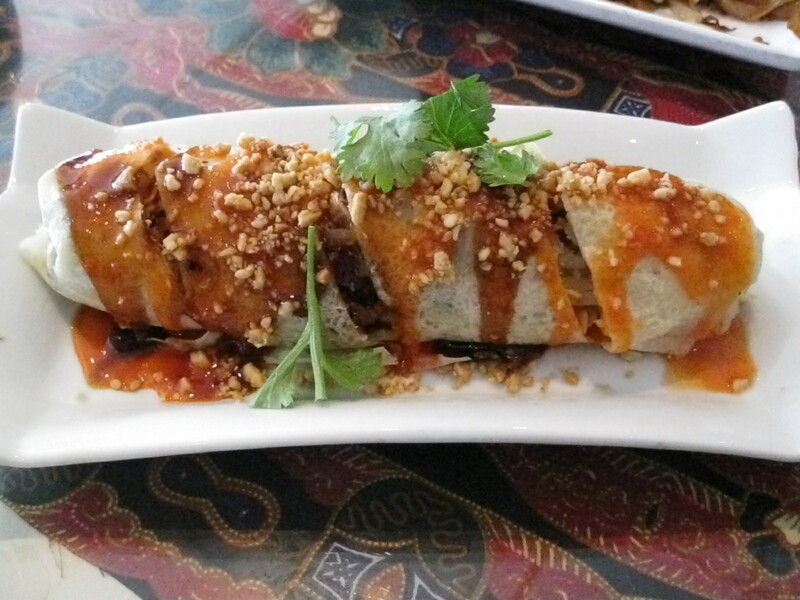 One 2 Snacks is a take-out restaurant rather than a dine-in restaurant. 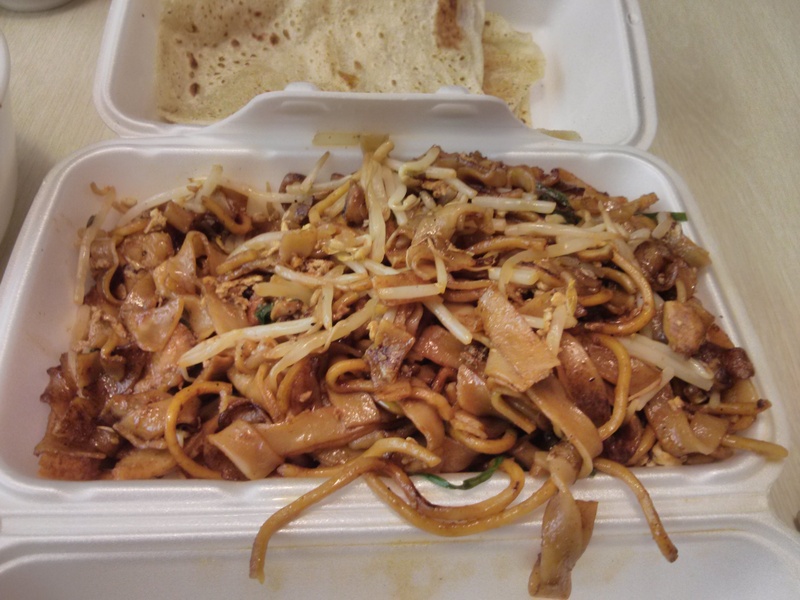 I called the day before and ordered 6 curry puffs (tax free at $4.80 if you buy 6 pieces), fried kway teow ($5.99), laksa ($5.99) and roti cannai with curry ($5.25). 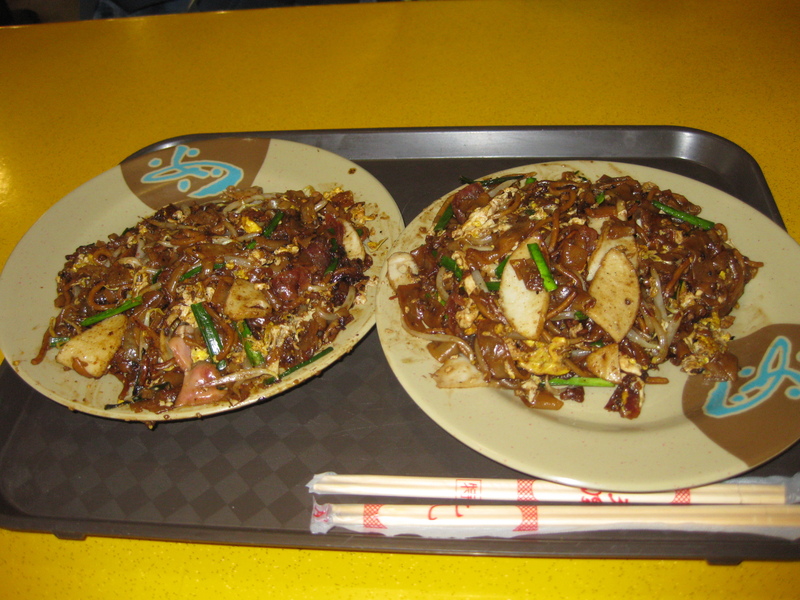 The fried kway teow was quite authentic. 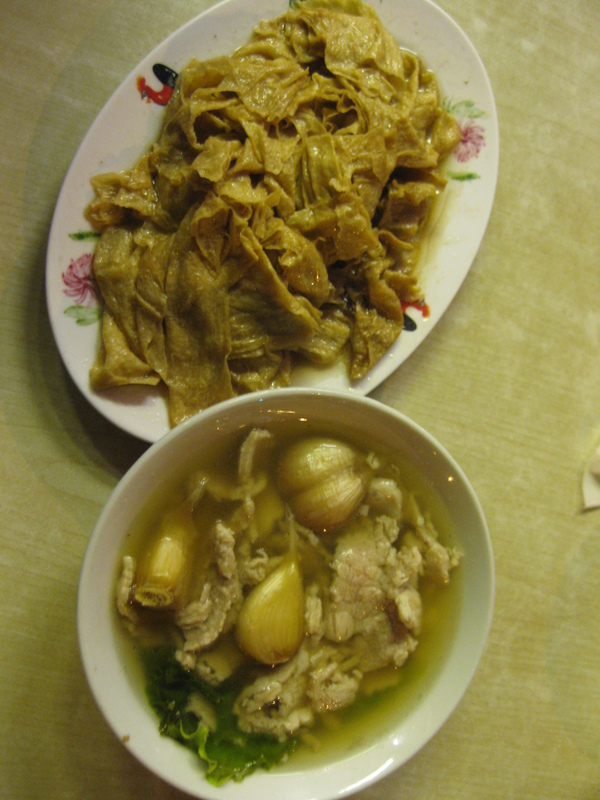 When I called to order the take out, I was asked if I wanted one kind of noodles or mixed. 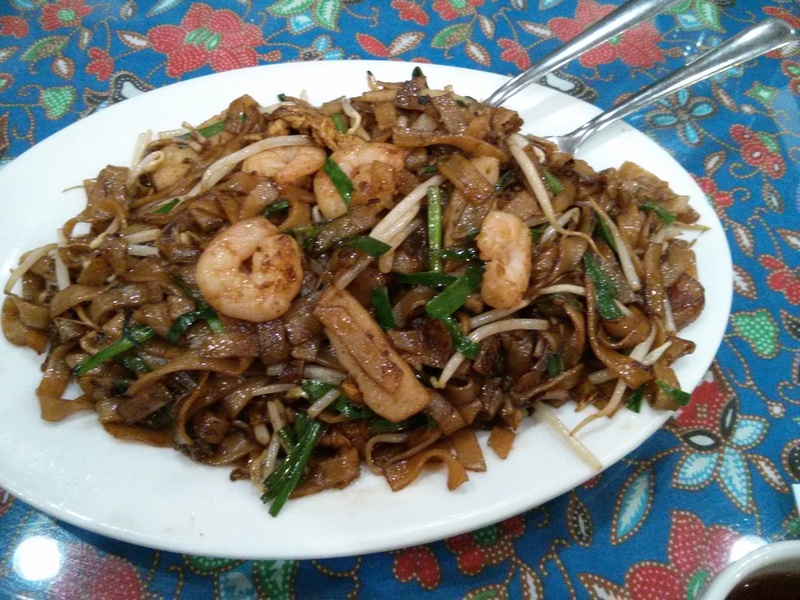 This is the only restaurant I found in the GTA who does fried kway teow authentically with mixed noodles. 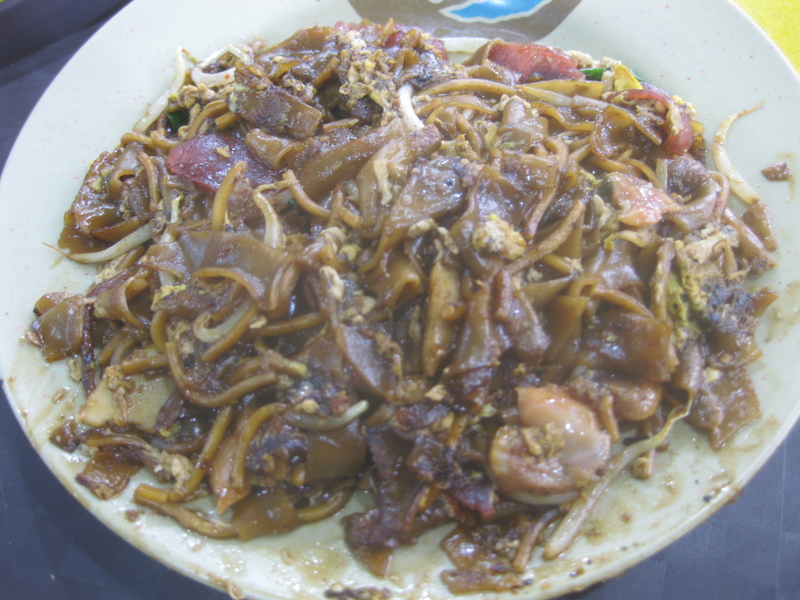 The fried kway teow consists of mixed noodles, shrimp, soy sauce, beansprouts, egg, leeks and meat. 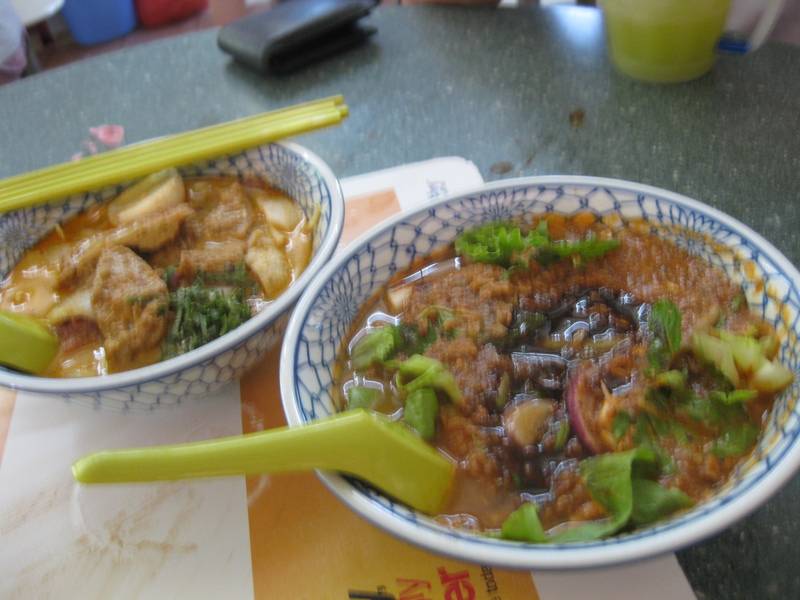 The laksa was spicy. I was also asked if I wanted one kind of noodles or mixed and I chose mixed. The laksa consists of mixed noodles, shrimp, mushrooms, tofu pok, fish balls, beansprouts and chicken in a spicy coconut milk laksa broth. The roti cannai with curry chicken was scrumptious. The roti cannai is like prata. 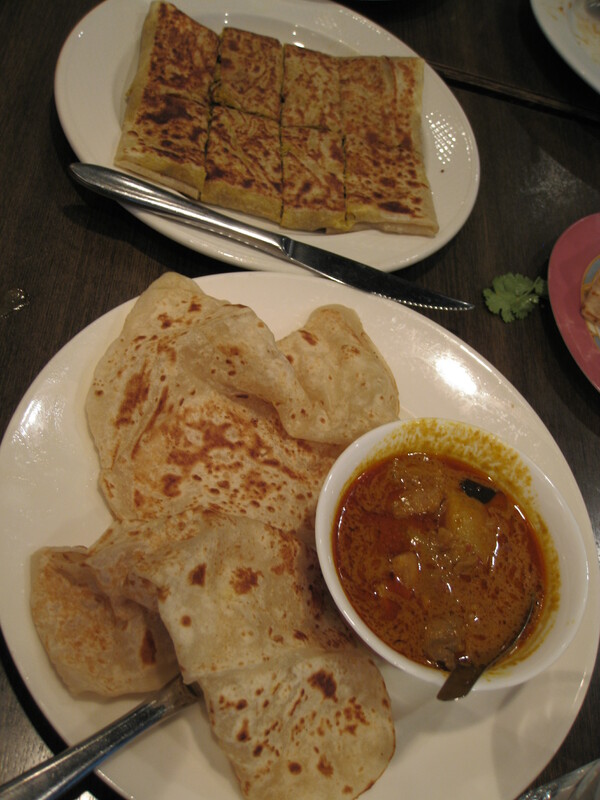 Roti cannai or prata is made from ghee, flour and water. 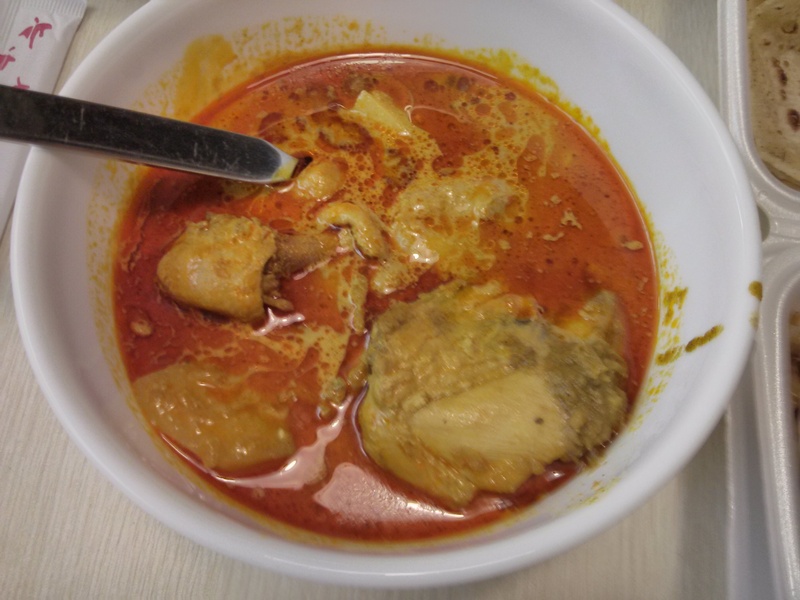 The curry chicken wasn’t as spicy as the laksa in my opinion. 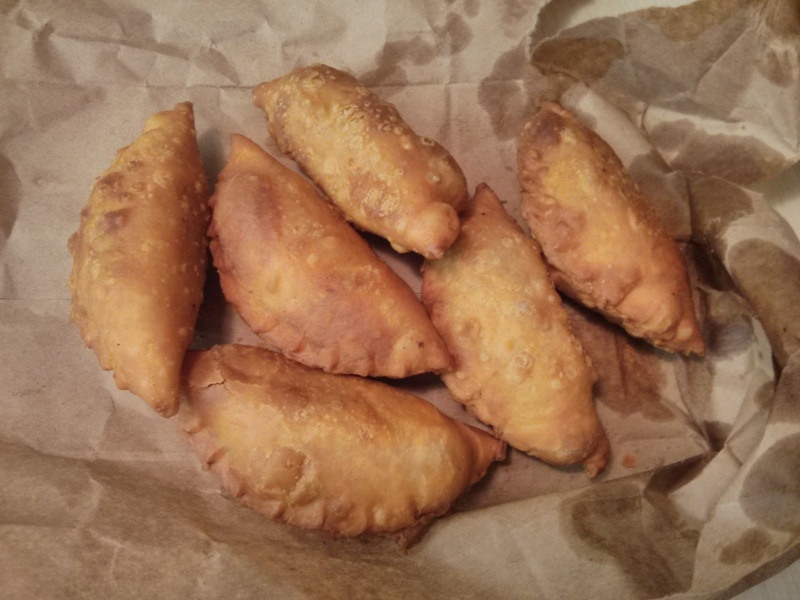 The curry puffs were quite authentic. It’s not as good as Old Chang Kee’s Curry O however it’s just as good as the curry puffs sold on the streets of Singapore. 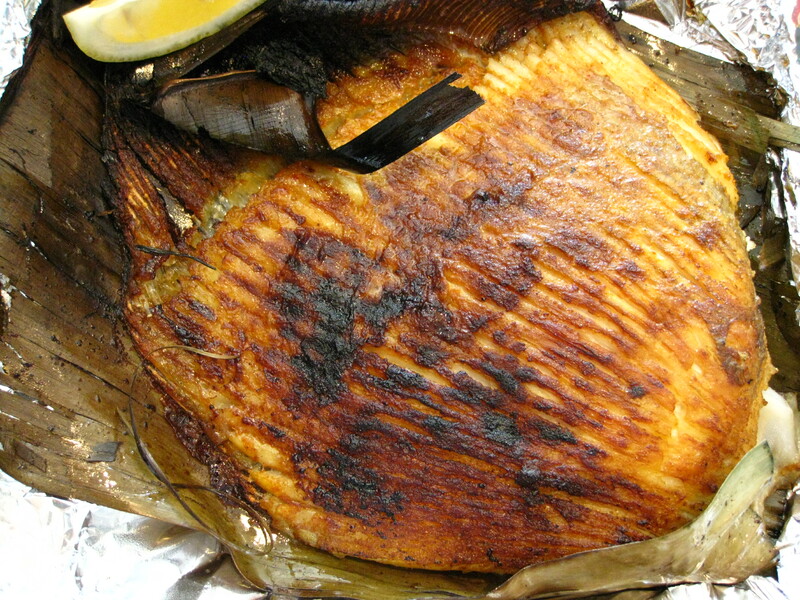 The puff has a fairly thick skin and it’s stuffed with curried potatoes. 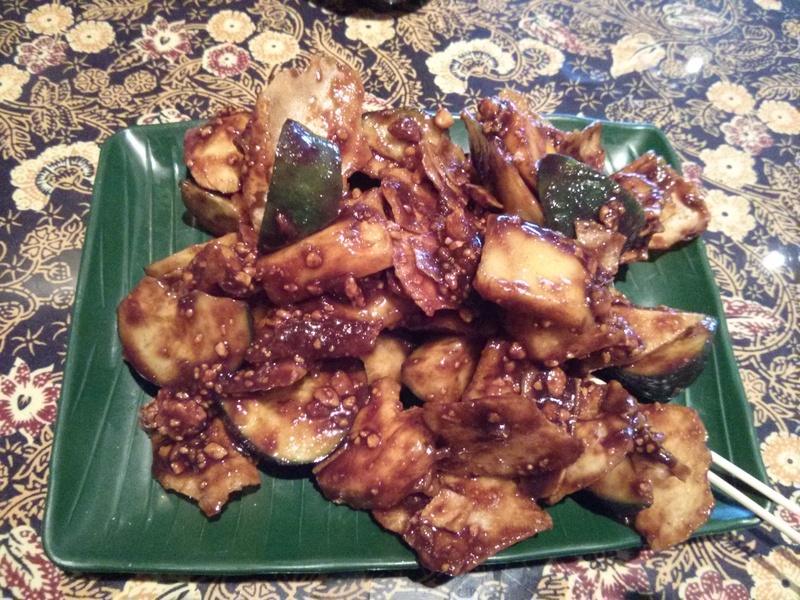 We were also provided with sambal and their version is quite spicy. 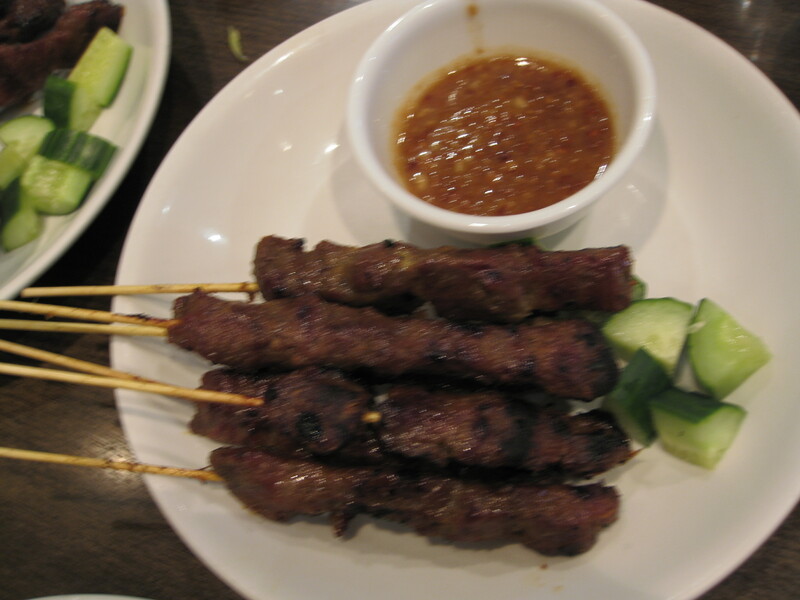 Overall, I recommend this restaurant over the other Singaporean/Malaysian/Indonesian restaurants in the GTA. 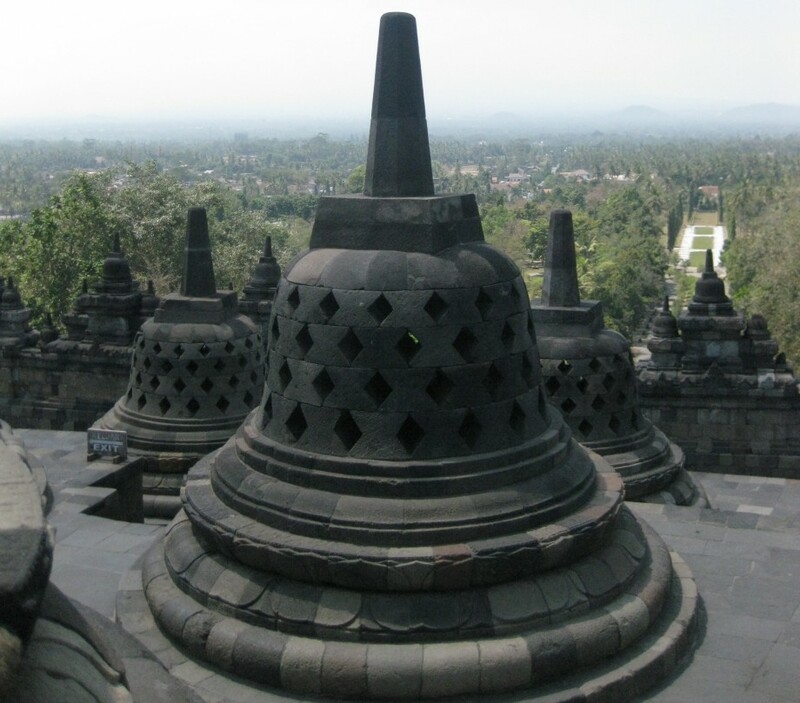 My friends were satisfied with the place and they would definitely go back. 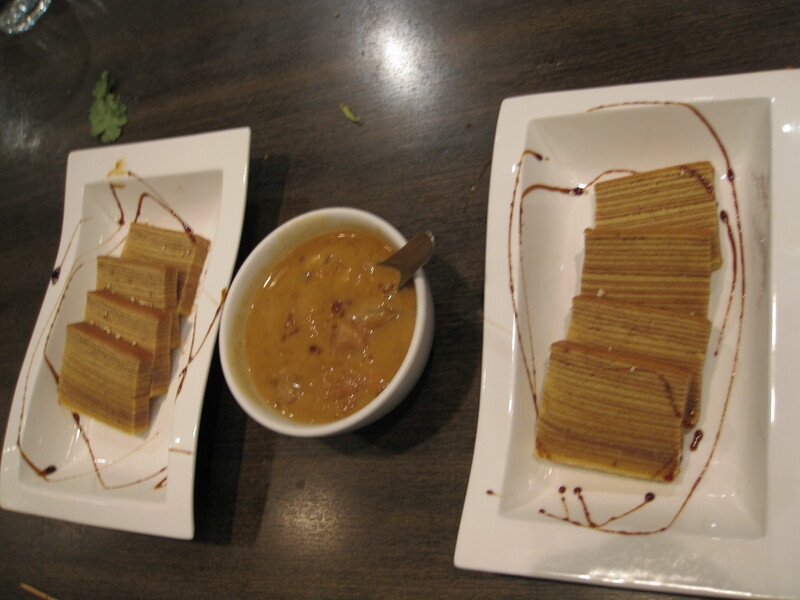 One of my university friends and I went to Gourmet Malaysia for dinner this past Friday. She’s never had Malaysian or Singaporean food before and I had a slight craving for stingray. 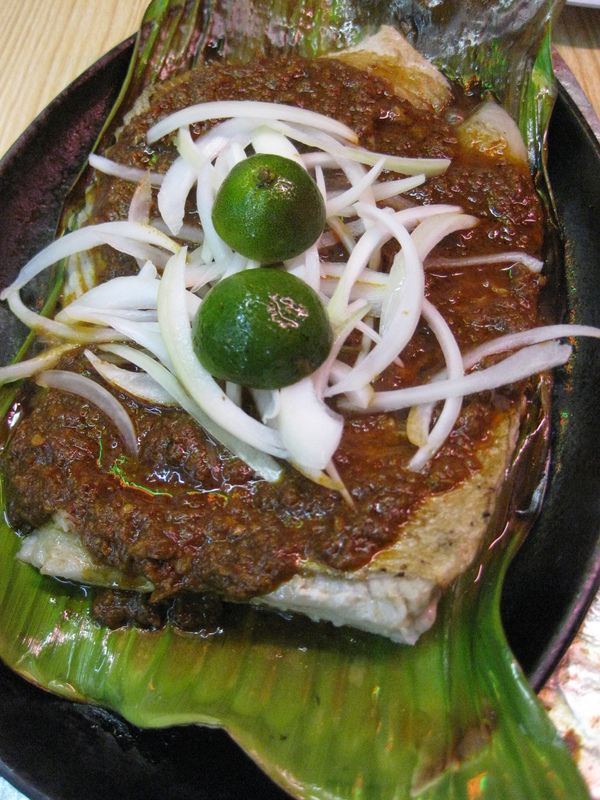 We had ikan bakar ($16.99), Penang fried kway teow ($7.80), teh tarik ($2), rojak ($5.99) and roti cannai with beef curry ($6.99). I wanted to order Murtabak however it’s only available on the weekends; only the roti cannai is available 7 days a week amongst all the menu items listed under the Roti/Prata section. 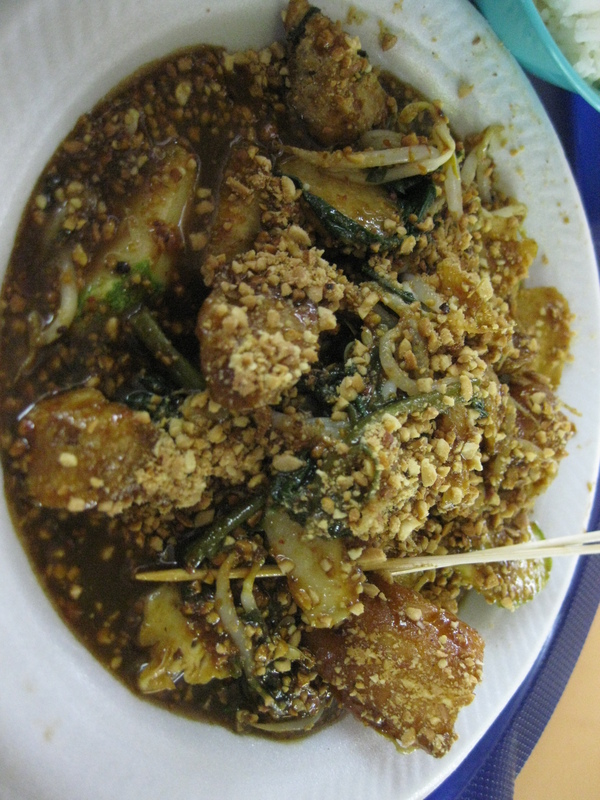 Rojak is slightly spicy with lots of peanuts, fruit and vegetable salad. It’s quite common in Singapore, Malaysia and Indonesia. 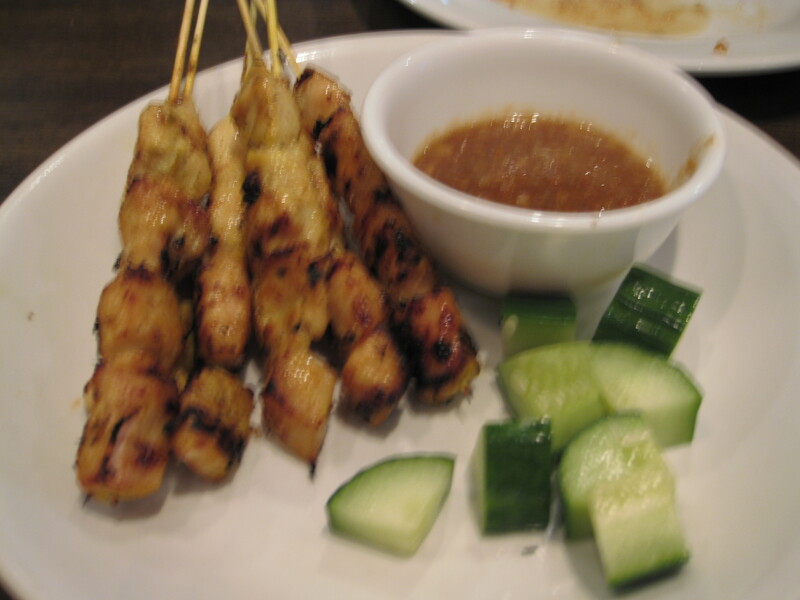 If you don’t like spicy foods or if you’re allergic to nuts I wouldn’t recommend this dish for you. 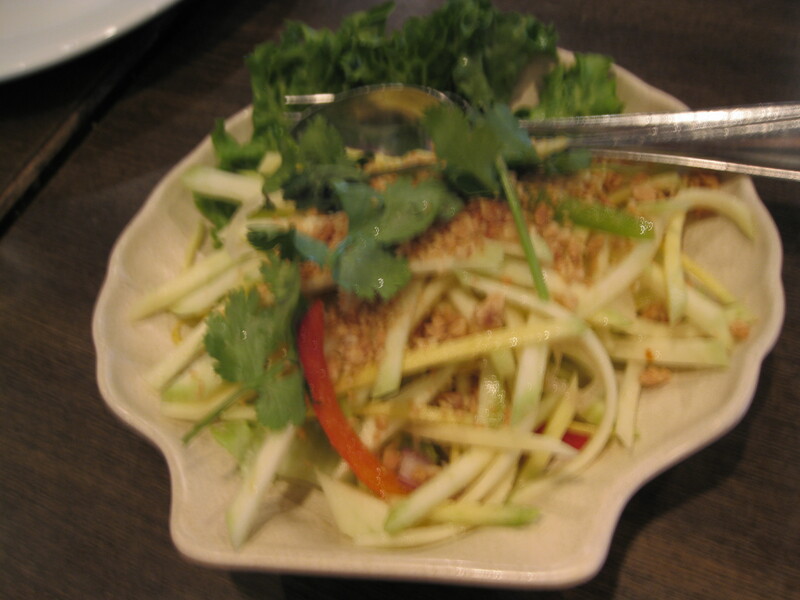 The version at Gourmet Malaysia has mango, pineapple, cucumbers and pears with belacan (shrimp paste) sauce and peanuts. 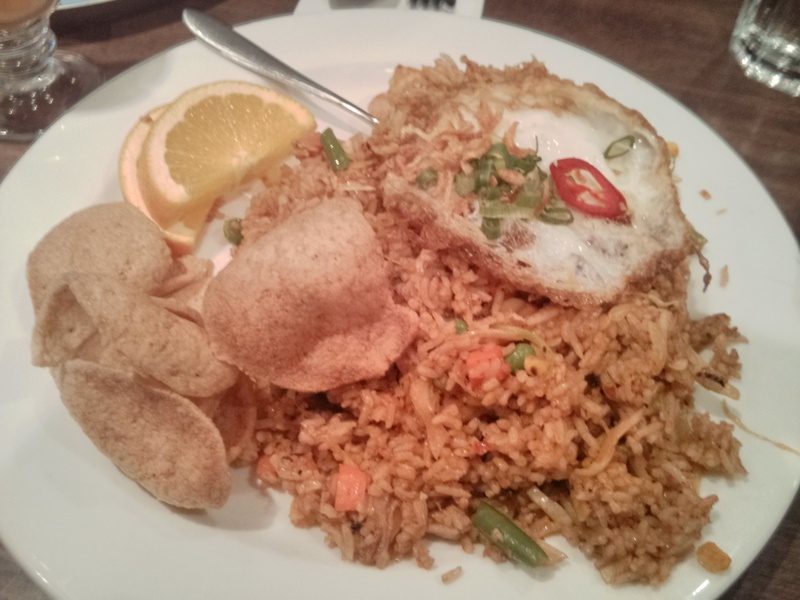 I preferred the version at Restoran Malaysia more however the version at Gourmet Malaysia has the right amount of spiciness in comparison to the one at Restoran Malaysia. 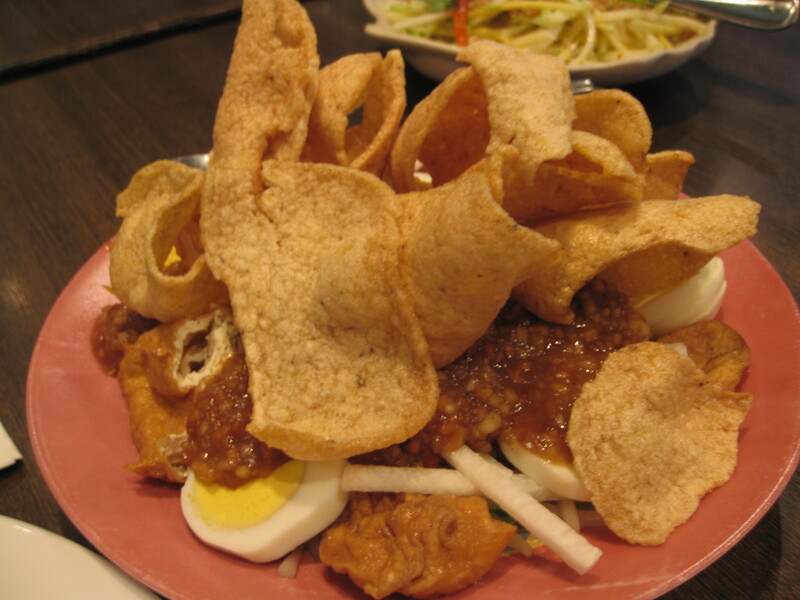 Both versions are lacking when compared to the rojak I’ve had in Singapore, Malaysia and Indonesia. 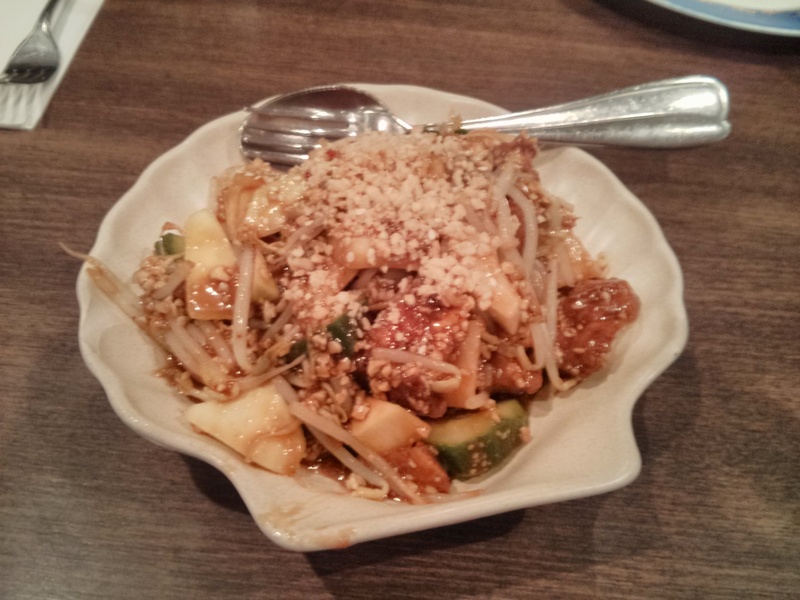 My friend liked the rojak, she thought it may have expanded her appetite because of its strong taste with a hint of sourness. 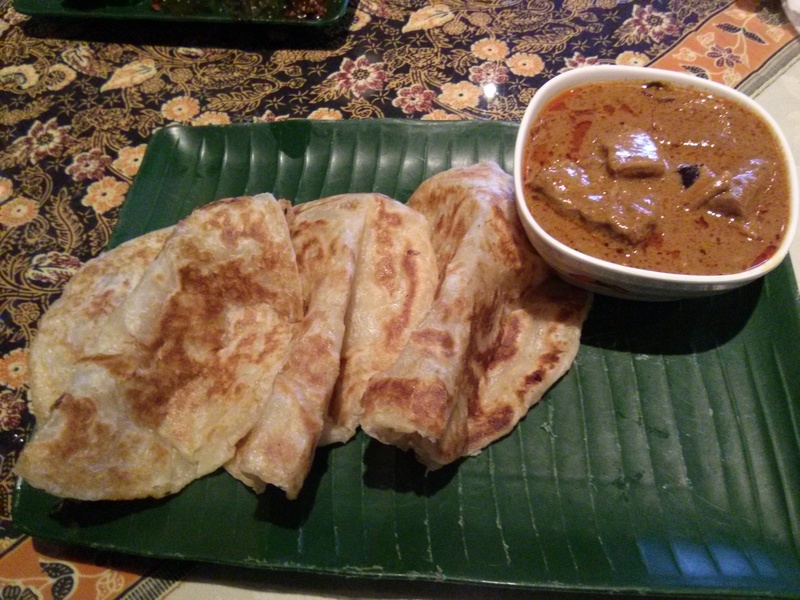 Roti cannai with beef curry is flatbread made from oil, flour, water and ghee that’s dipped in beef curry which has pieces of beef, onions and carrots in it. It’s as authentic as the ones I had in Malaysia and Singapore. 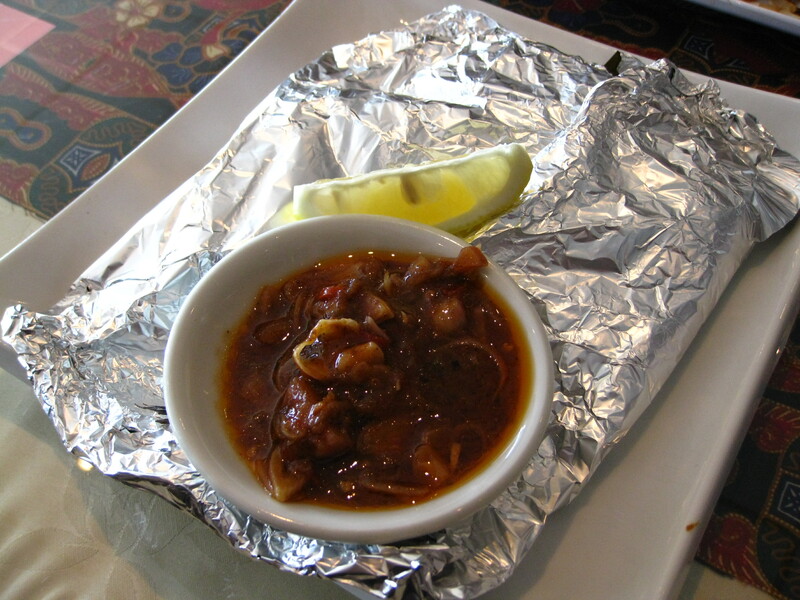 I enjoyed it alot although the beef has slightly too much fat for my tastes and reminds me of beef brisket. 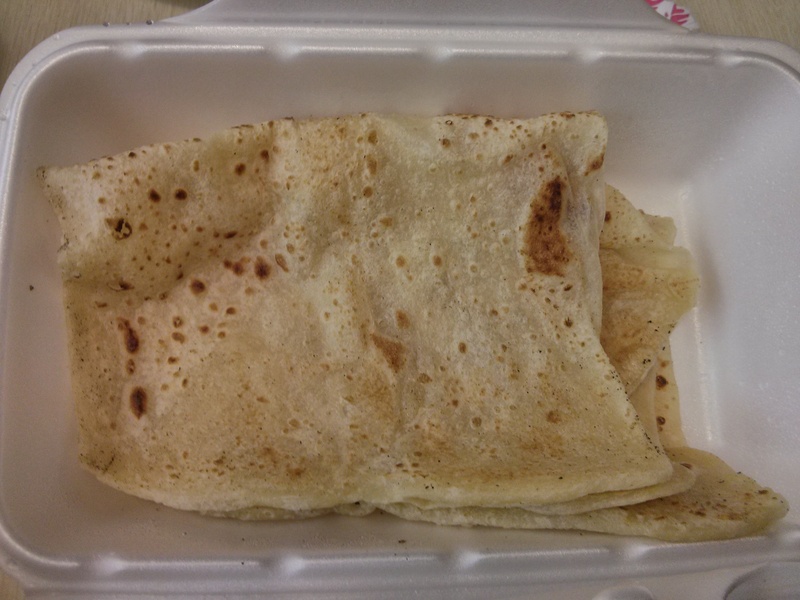 My friend absolutely loved the roti cannai. She would order it the next time she goes there. She likes the fact that the beef curry wasn’t very spicy for her. I have a higher spiciness tolerance than she does. What she finds spicy, I don’t; what I find somewhat spicy, she finds very spicy so it was nice that she was able to enjoy the dish. 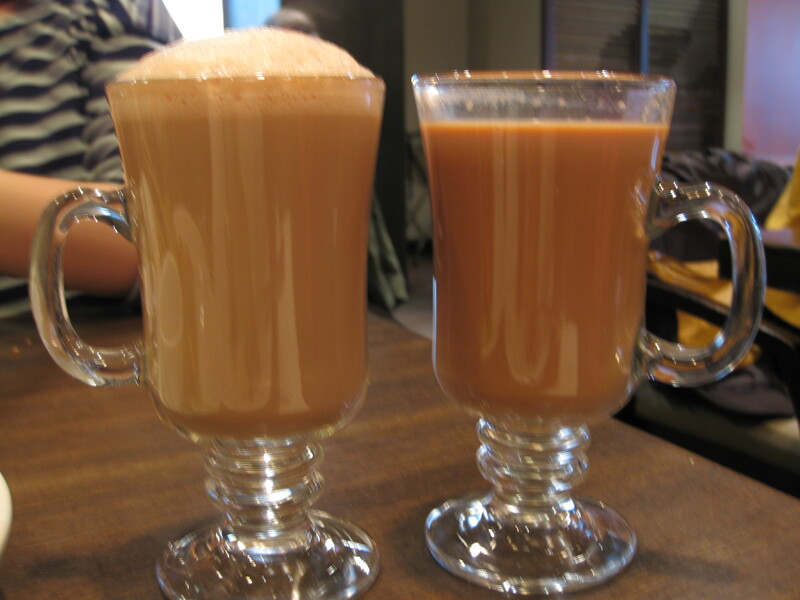 I was extremely disappointed with the teh tarik at Gourmet Malaysia. 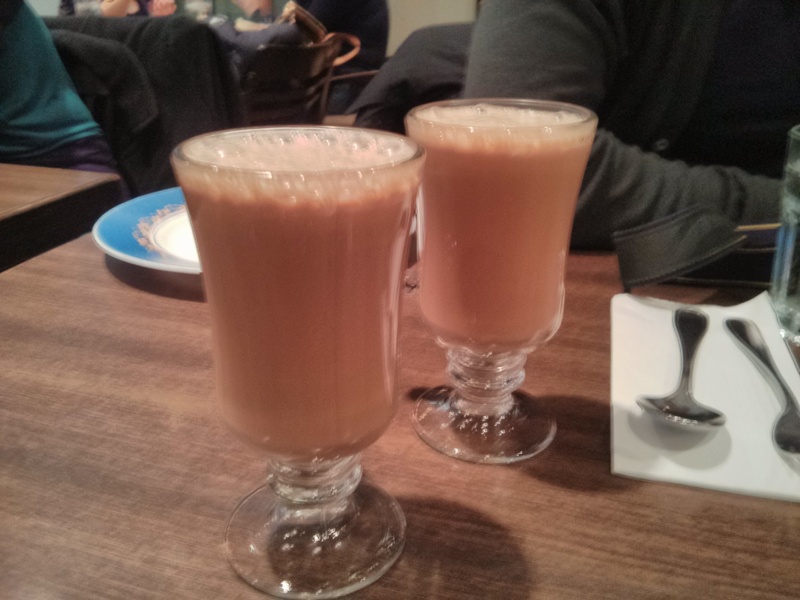 It tasted like instant teh tarik mix rather than real teh tarik. 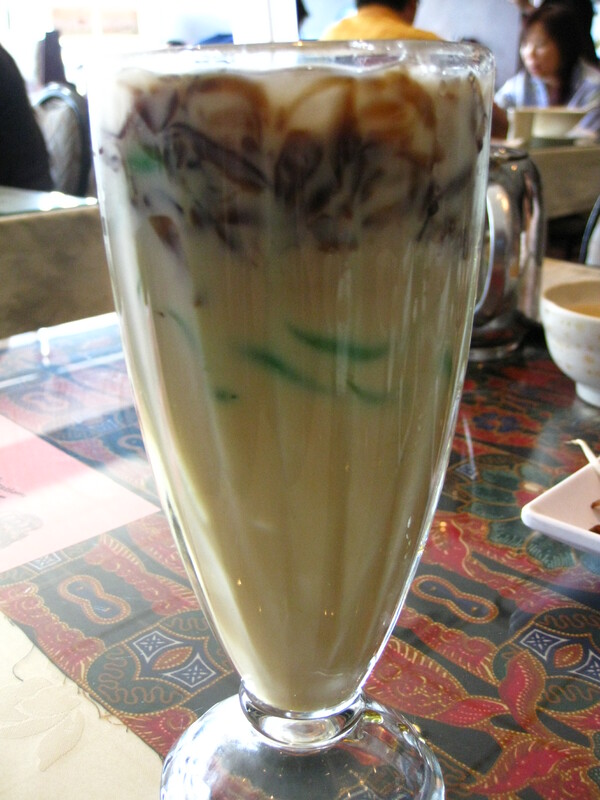 I preferred the teh tarik at Restoran Malaysia and at Lion City Restaurant. I would not recommend getting this drink at Gourmet Malaysia. 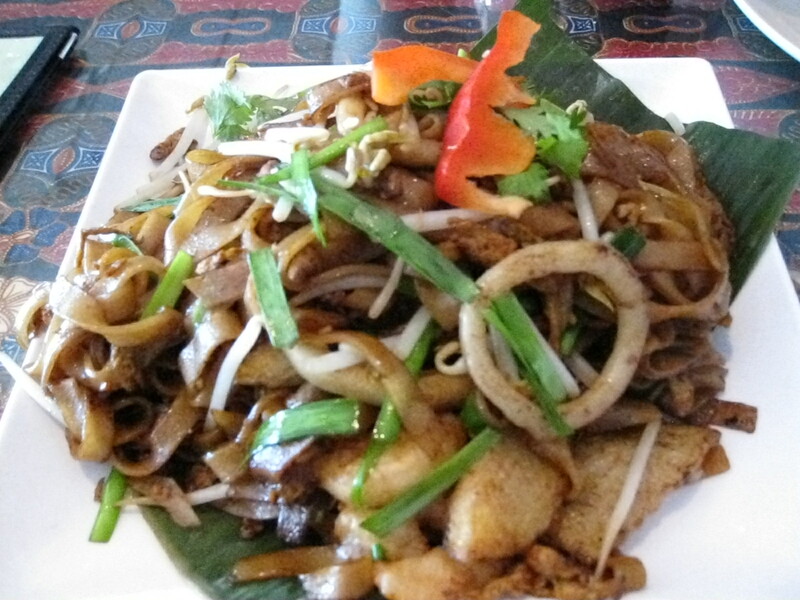 The Penang fried kway teow is just as tasty as last time although there wasn’t as many calamari rings as last time. 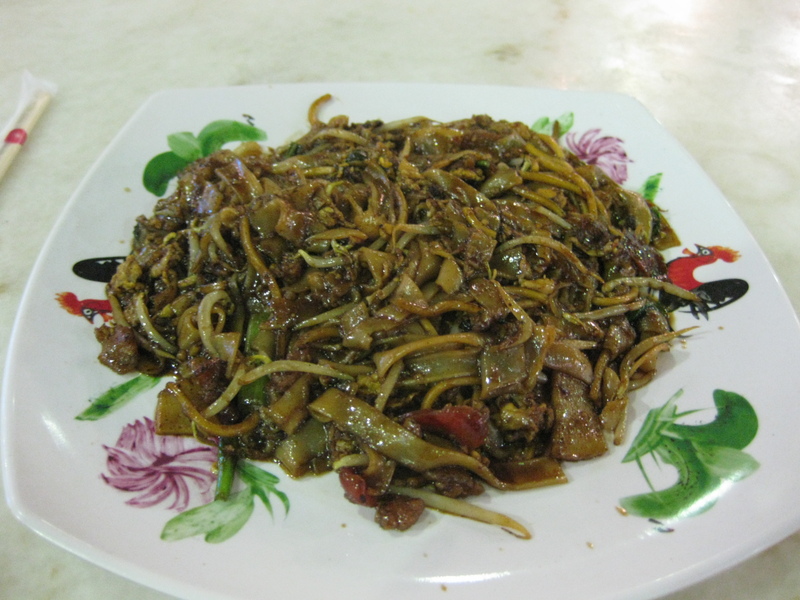 My friend liked the fried kway teow. 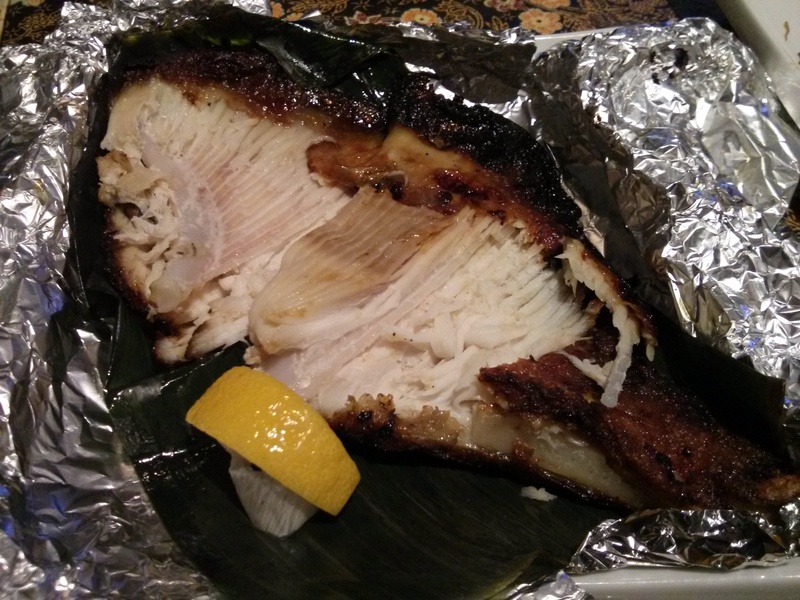 The ikan bakar is smaller than the one I had last time and it’s more charred in comparison. My friend liked the stingray although she said that it tasted like overcooked fish. Basically it’s not as delicious as the stingray I had my first visit there. 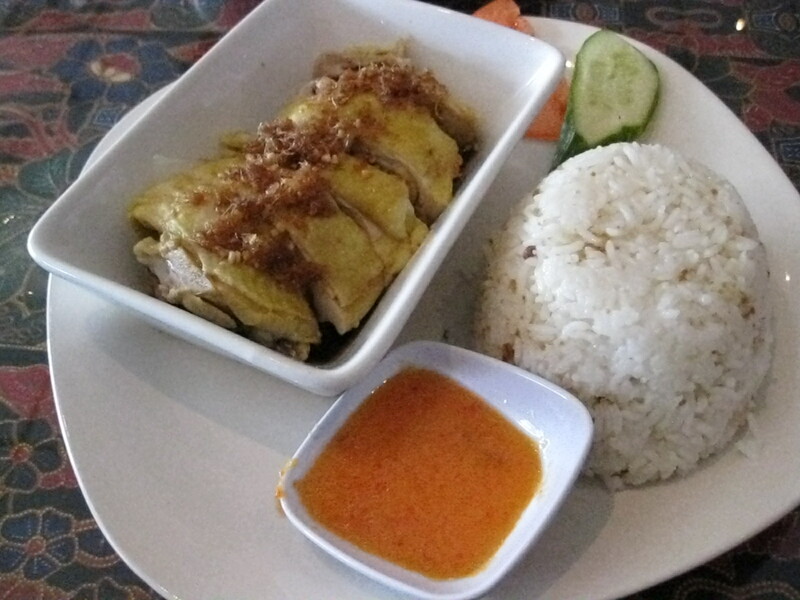 The first time I went to Gourmet Malaysia was on a weekend for lunch. 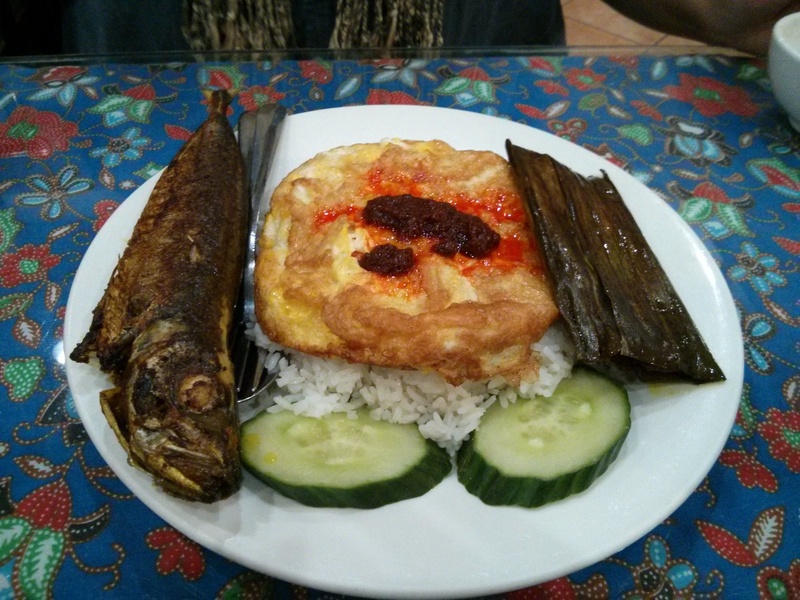 The second time I went to Gourmet Malaysia was on a weekday for dinner. I felt like the quality is mixed. Both times I was given a pot of tea however my first time there I also got a bowl of soup. 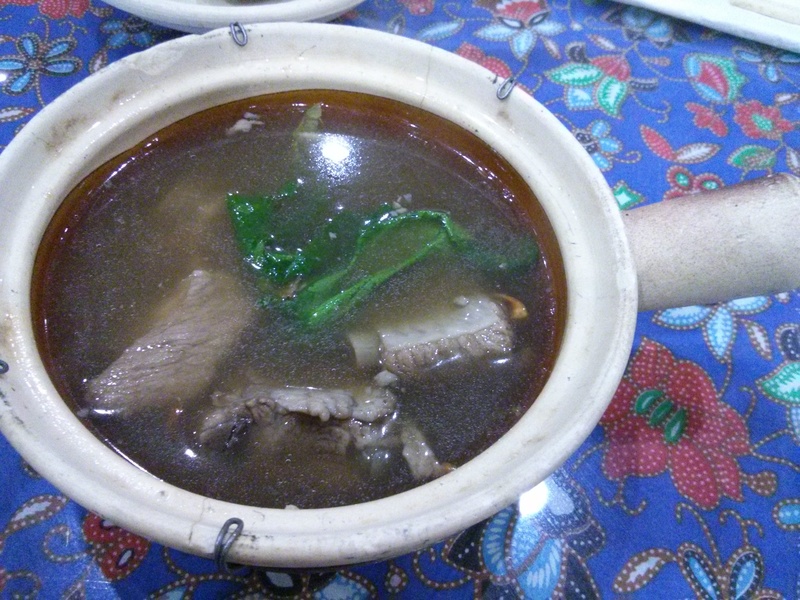 The first time I went I liked the chendol, fried kway teow and ikan bakar. 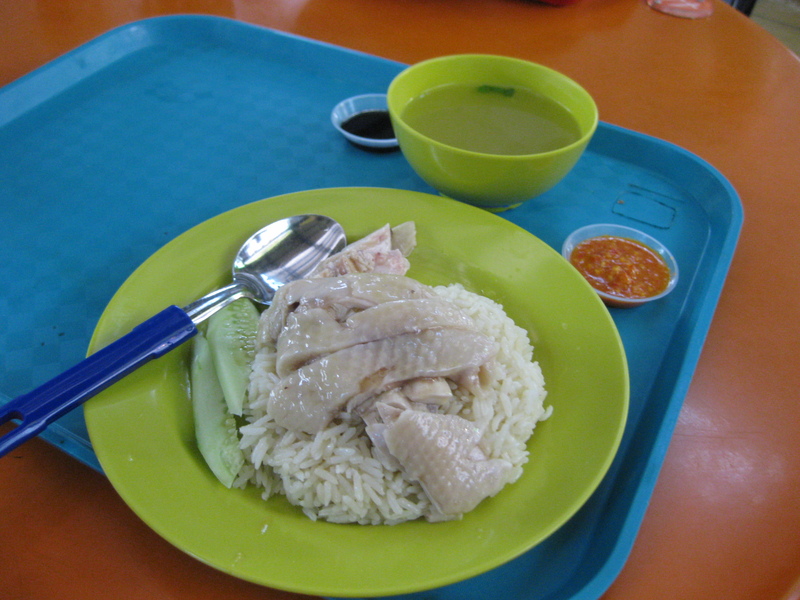 The Hainanese chicken rice and poh pia were ok. 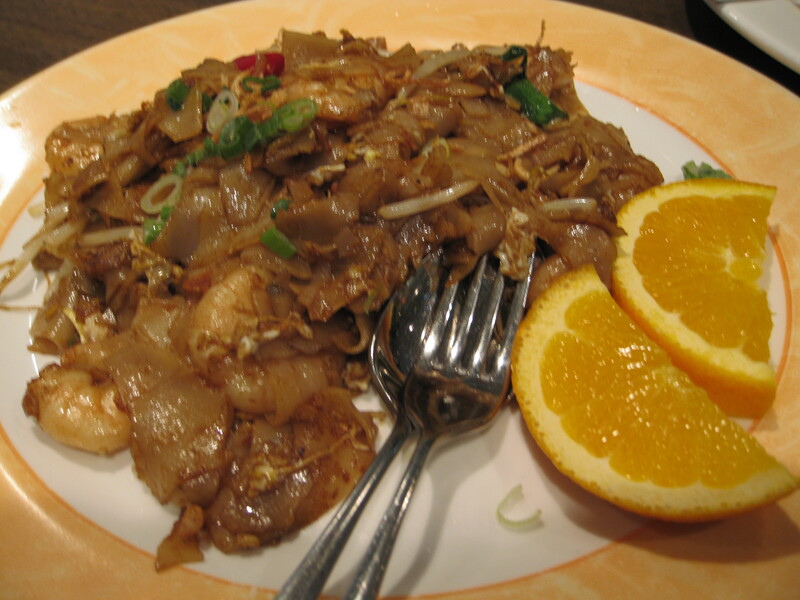 The second time I went I liked the rojak, roti cannai and fried kway teow. 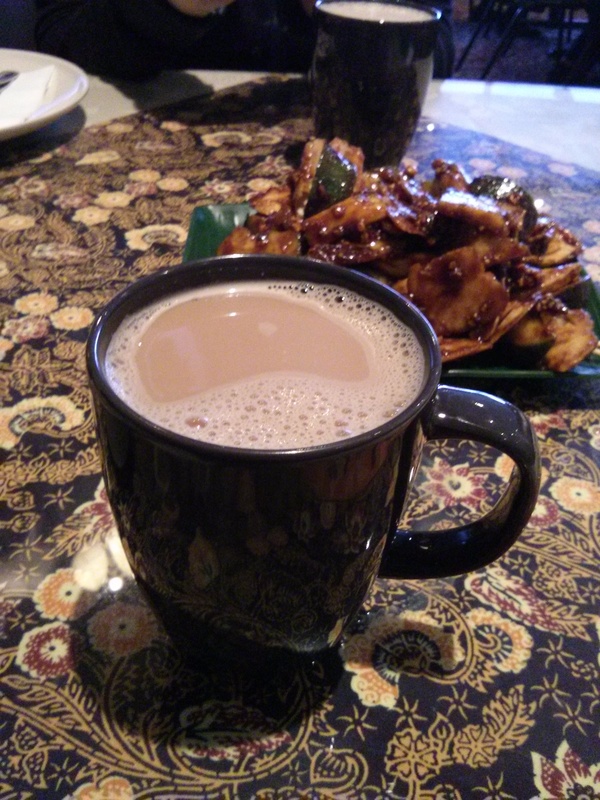 The ikan bakar was ok but the teh tarik is extremely disappointing. Overall I had a more enjoyable first experience. Hopefully my future third visit wouldn’t be disappointing.